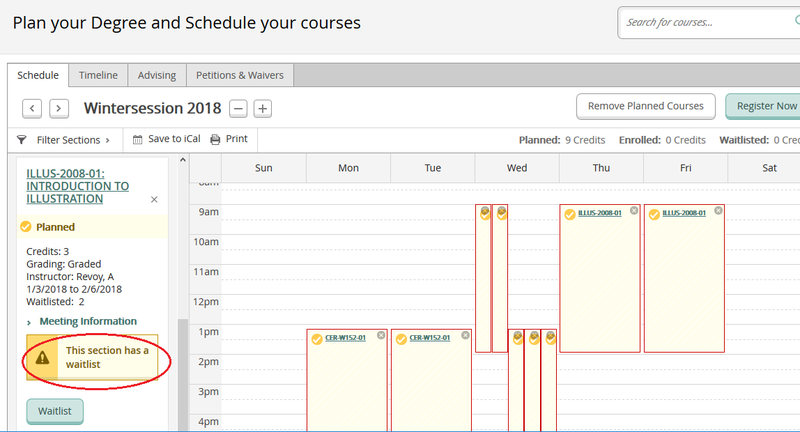 I have a course planned, Why can’t I register? The most common reason you are not able to register for a course is that it is not your registration time. Check your email for your appointment time, or you can log into Web Advisor (wa.risd.edu) and check ‘My Registration Time’ under the ‘Registration’ section. If you have a registration hold due to an unpaid balance, you will not be able to register. Contact the Student Financial Services office during business hours, or pay your balance immediately at www.risd.afford.com, which will release the hold. 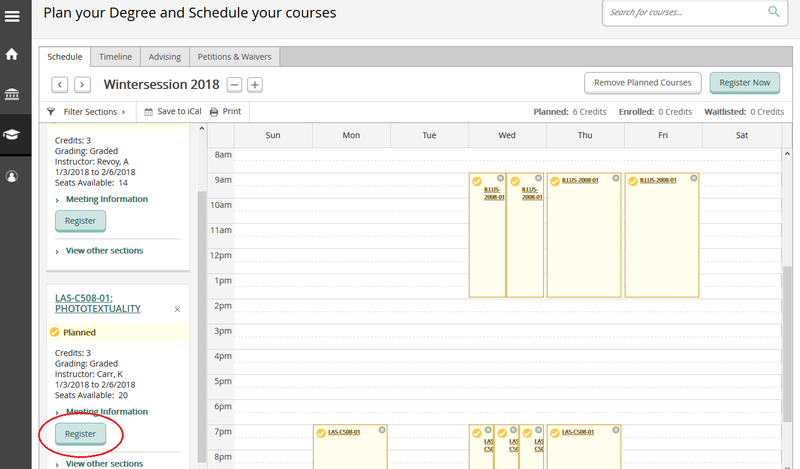 If you plan a course by clicking ‘Add Course to Plan’ you will not be able to register for it. To register, click ‘View other sections’ and select your desired section. Click ‘Add Section’ and the ‘Register’ button will appear. 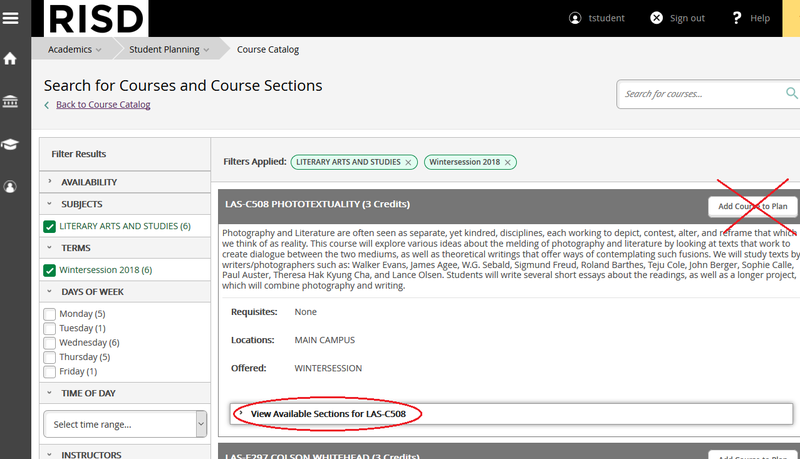 To avoid this in the future, when searching for classes make sure you select ‘View Available Sections’ and add the specific section to your plan. Then the blue ‘Register’ button appears in your planned course. 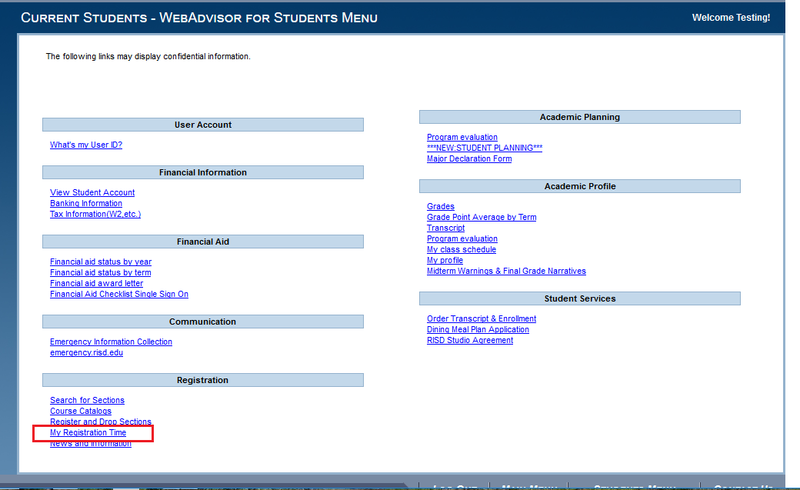 To add yourself to a waitlist, select the ‘Waitlist’ button. Remember that being on a waitlist does not guarantee registration into that course. 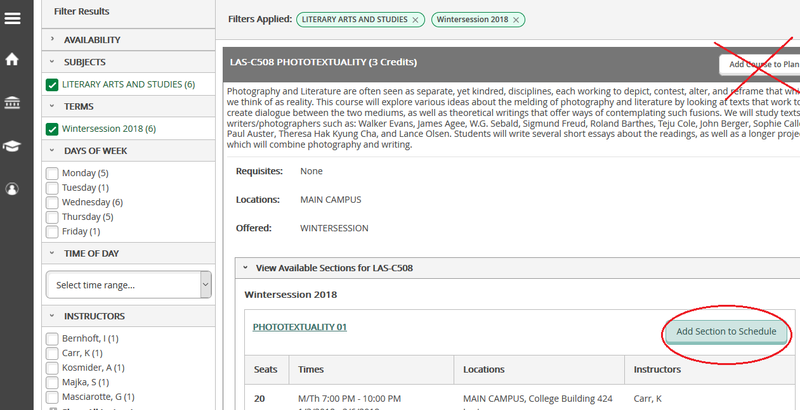 * Some courses have prerequisites, major requirements (eg only open to students of a specific major) or level requirements (eg open to juniors and seniors). Please read the course information thoroughly. If you do not meet these restrictions you will not be able to register for the course. * Courses that are by permission of instructor cannot be registered for online; instead reach out to the instructor and/or the department offering the course. The system will not allow you to register for courses that create a conflict; please look over the schedules of your planned courses carefully. 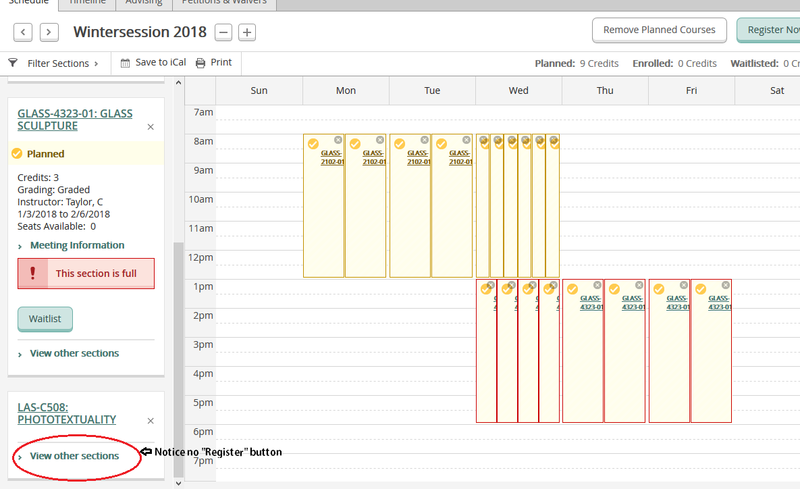 For courses with multiple meeting times/days, you must be available for all meeting times in order to register. If you have forgotten your password, visit https://password.risd.edu and click the “Password Reset / Forgotten Password” link to reset your password. Multiple unsuccessful attempts to log-in to your RISD account will cause you to be locked out for 15 minutes. You will need to wait before attempting to log in again.